Kinston, N.C. - The Lynchburg Hillcats had an early lead get away on Saturday night, losing to the Down East Wood Ducks, 4-1. Lynchburg (7-3) surrendered four fifth inning runs to Down East (6-4) and committed two costly errors in the inning. 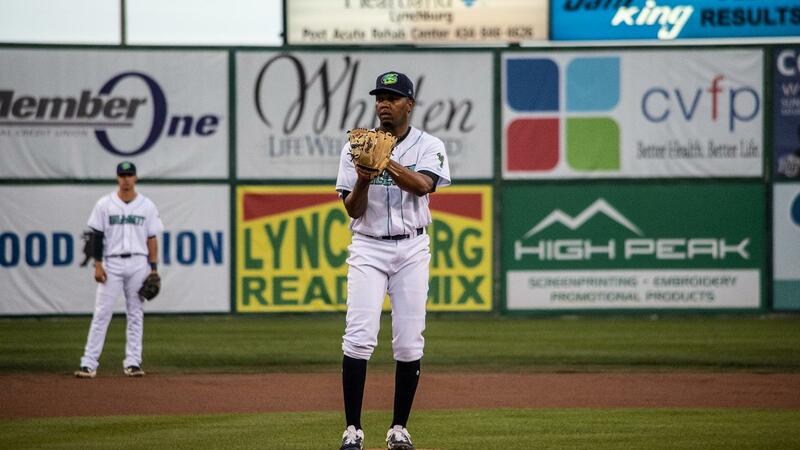 With the Hillcats up 1-0 entering the home half of the fifth, Yanio Perez led off with a double. With one out, Melvin Novoa hit a sharp ground ball to third baseman Nolan Jones , who had it kick off his glove into left field for an error, putting runners at the corners. The next hitter, Yonny Hernandez, tried to execute a safety squeeze, but Juan Hillman (Loss, 1-1), gunned down Perez at the plate for the second out. Bubba Thompson was next, and he hit a ground ball to Jones that seemingly would have ended the inning, but Jones committed his second error of the frame, throwing the ball wide of first base and allowing two runs to score. Later in the inning, Eric Jenkins reached on a strikeout wild pitch and scored all the way from first base on a two-run single by Anderson Tejeda. Lynchburg scored its only run in the fourth inning when Jonathan Laureano worked a bases loaded walk. Hillman gave up four unearned runs in six innings. The left-hander surrendered four hits and stuck out six. Kyle Nelson and Felix Tati each fired a scoreless inning in relief. Reid Anderson started for the Woodies, going 4.2 innings and allowing one run on one hit, walking five. Josh Advocate (Win, 2-0) fired 2.1 scoreless frames, while Joe Barlow and Emmanuel Clase (Save, 1) each tossed scoreless innings. Lynchburg was held to a season-low three hits in the loss. The Hillcats will send right-hander Justin Garza (1-1, 6.48 ERA) to the mound to face Down East on Sunday afternoon in the series finale. The Wood Ducks will counter with righty Noah Bremer (0-0, 7.71). First pitch is scheduled for 1 p.m. at Grainger Stadium in Kinston. Max Gun will be on the air beginning at 12:50 p.m. on TuneIn Radio and Radio434. 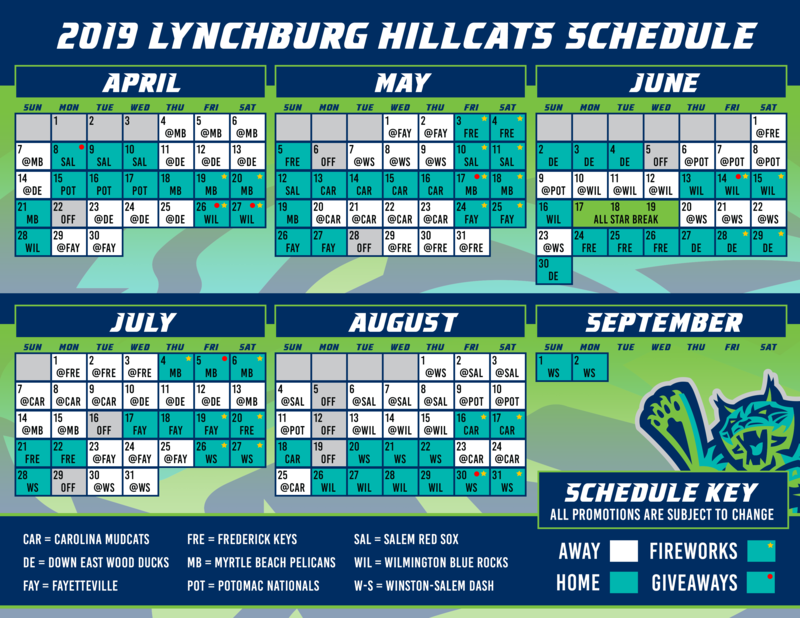 The Hillcats return home on Monday, April 15, to begin a seven-game home stand. Highlights include Kids Eat Free Tuesday, Winning Wednesday, Thirsty Thursday and post-game fireworks shows on Friday and Saturday.